Handmade Detroit | Last Week to Apply for Detroit Urban Craft Fair! Last Week to Apply for Detroit Urban Craft Fair! 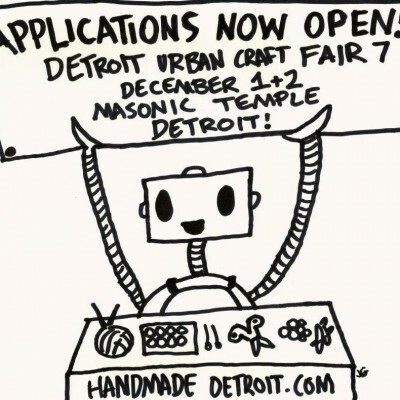 Don’t pro-craft-inate, get your Detroit Urban Craft Fair application in today! Applications are open for just one more week – closing September 25th at midnight. This year’s Detroit Urban Craft Fair returns to the Masonic Temple in Detroit on December 1st and 2nd, and we can’t wait to see you there! Read all about DUCF at detroiturbancraftfair.com, and make sure to check out our FAQs before submitting your application.